Do you often re-read pages? Do you find it hard to get the full meaning from text? Can you read only for short periods? Is there an exam you cannot pass? Our program can produce dramatic results in just a few months. Most adult reading programs are more of what did not work at school. Our treatment is different. We use brain-based Fast ForWord software to go after the underlying cause of reading difficulty, once and for all. 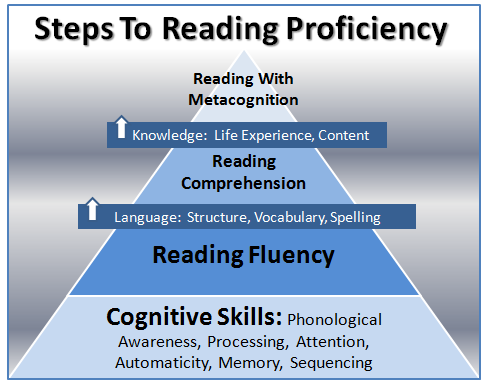 For most struggling adult readers, processing and/or memory are the primary impediments. Fast ForWord targets and strengthens these skills. The next set of exercises trains reading speed and efficiency, to make reading easier and to reduce the need to re-read pages. Our program uses a natural learning approach to help adult readers build the fluency, vocabulary and other reading skills needed to read any book with good comprehension. Our clinical-strength programs make reading automatic, like riding a bike. If you can read efficiently, your comprehension will improve. You will also find reading less tiring and more rewarding. Our service is home based, with remote oversight, available anywhere in the US or Canada. For the best results, adults work 30 minutes a day, 5 days a week for 3-4 months. The key to success in any effective adult dyslexia treatment is compliance because adults are busy. We have good compliance because we combine online, any-time, any-where convenience with personal monitoring from our professionals — they are your personal trainers. And in terms of effectiveness, the science is compelling. The brain is always changing, at any age. This a one-time investment. Once you are reading comfortably, reading is exercised every day and so remains a part of you. The software is adaptive so that you work at your own pace and spend every minute working only on your specific weaknesses. This adaptivity also creates the intensity required to rewire how you read, a unique feature of our adult dyslexia treatment. While every brain can benefit from regular exercise, there are cheaper, do-it-yourself programs out there if your goals are not related to reading or auditory processing in particular. If you are unsure, please call for a free consult or contact us here.